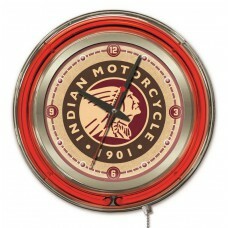 Here you will find what every Indian Motorcyclist wants to see hanging on their wall. 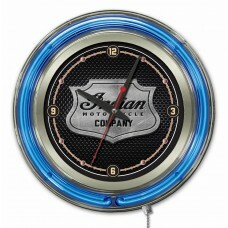 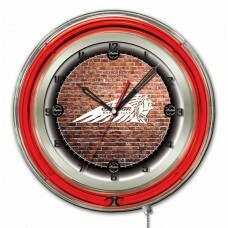 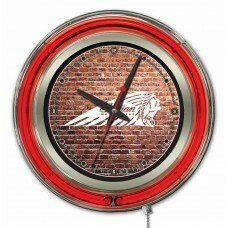 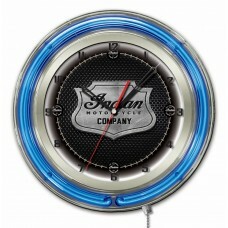 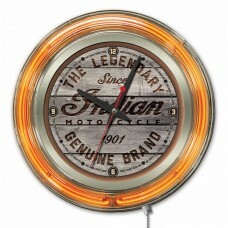 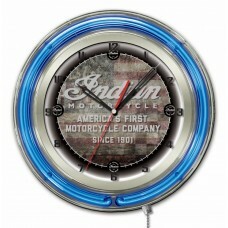 A true iconic clock featuring their favorite brand of motorcycle mixed in with some good old Americana style. 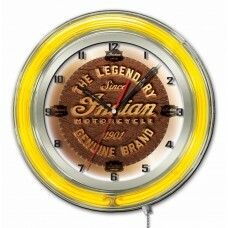 You will find neon clocks and wood clocks dedicated to the oldest motorcycle company in the United States of America. 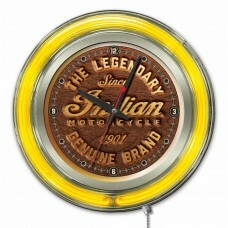 All made by Holland Bar Stool Company right here in the good old U.S.A.